BBC has officially launched its new bureau in Hong Kong, working on news content in Cantonese, Mandarin, and English, as well as commercial news operation BBC Global News. Officially opening on 25 March, the new BBC bureau is home to 20 journalists and 11 staff, supporting commercial business in the region, alongside offices in Beijing and across Asia. BBC director-general Tony Hall has officiated the launch of the bureau and attended the recording in Hong Kong of the latest edition of the BBC World News debate programme BBC Global Questions, which discussed China’s place on the world stage. The programme will bring together a panel of high-level decision-makers to focus on China’s global status now that country’s extraordinary economic boom is cooling, and it’s locked into a damaging trade war with the US. BBC Global Questions will be broadcast on BBC World News TV on 30 March. The programme’s Mandarin version will focus on the future of employment for Chinese youth. The BBC News Chinese edition of the programme will be available via the website and the BBC News Chinese channel on YouTube. Other than the new offerings, the BBC also has an office for BBC Studios in Hong Kong, bringing dramas and entertainment programmes to Chinese audiences. 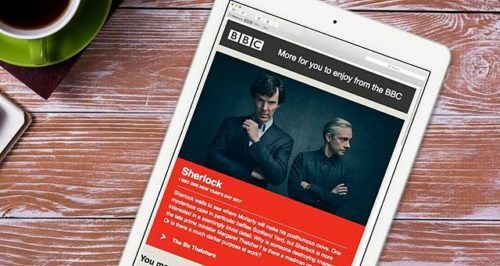 The BBC said it has a total weekly audience of a million people in Hong Kong where it is available on TV, via the BBC World News channel; online in English, and in simplified and traditional Chinese script, along with audio content in Cantonese and Mandarin. The BBC News Chinese weekly hour-long radio programme in Cantonese is broadcast on local radio partner RTHK, along with the daily overnight broadcasts of BBC World Service radio in English. BBC Minute, a 60-second news bulletin in English, is carried by Metro Radio. Yu, former Greater China CEO of Publicis Worldwide, will be based in Shanghai and lead Edelman China’s offices across Beijing, Sha..
Johnson & Johnson’s revives a favorite pastime among kids now made unbearable thanks to today’s scorching climate by opening the w..